Hettich FR 602 L Epoxy Coated Euro Roller Slide. Replace the side and rear mounting socket with the current version of the slide. The FR 402 L is an exact replacement as far as function, length, hole placement are concerned. You can get the replacement FR402L here. Just measure the length you have now and replace with the same length. 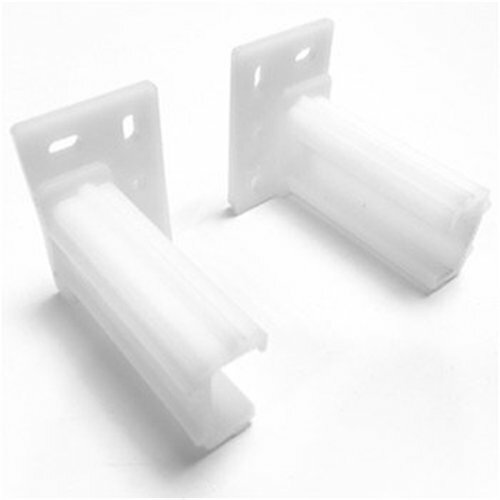 The available lengths are from 250 mm (10”) to 600 mm (24”) in 50mm (2”) increments. If you just want to replace the rear socket, you can get a piece of wood and attach it to the side of the cabinet then attach the slide to that piece of wood. 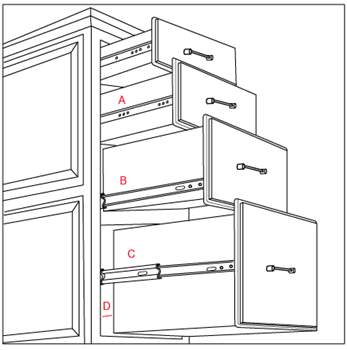 In essence you are shimming out the side of the cabinet of compensate for the face frame offset. The piece of wood will have to be the same thickness as the offset of the face frame so that the slides remain parallel. 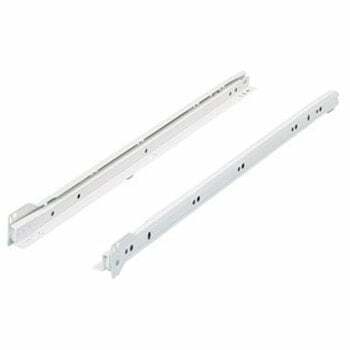 18" Drawer Slides, Bottom Mount, White, 100 lb.